Are you planning to move to Ireland? Did you grow up in Ireland and want to move home? Have you recently (or ever) moved to Ireland and want to help out someone who is going through some of the moving hurdles that you did. Do you dream of moving to Ireland one day? If you answered yes to any of the above, then this website was created for YOU! 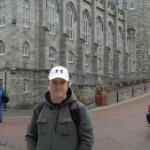 The Ireland Move Club was created to allow people from all corners of the world who are moving (or have moved) to Ireland to come online and share some of their knowledge or to ask questions about what to expect in Ireland when they get there. The Ireland Move Club will grow and become stronger with your participation, so please register and stay active on the site. Also, please take a minute to read the intro blog post (it tells you a little about the website founder and how this site came about). This website is here to facilitate conversations, allow you to compare services and price quotes, provide first hand accounts of what was involved in moving to Ireland, compile international moving resources, and to help you overcome some of the logistical issues in making a move to Ireland, and settling here. You can register here. Registering will allow you to join groups, ask questions, send messages and more. It's free and only takes a few seconds. Welcome to the Ireland Move Club.